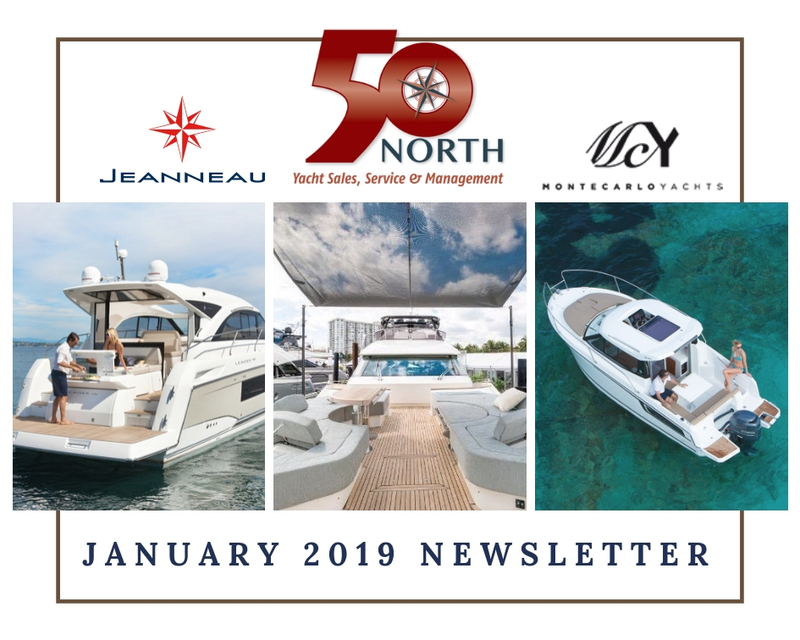 A great big THANK YOU to everyone that came to check out our largest lineup of Jeanneau Powerboats and Monte Carlo Yacht 70, it was a fantastic weekend! 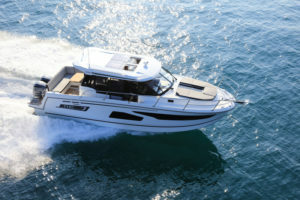 West Coast debuts included the Jeanneau Leader 7.5, Leader 9.0 and Jeanneau NC 795 Sport! 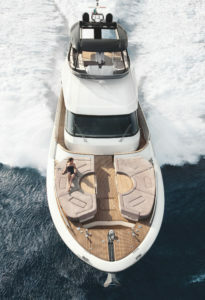 Along with the favorite Jeanneau NC 895, NC 795, and the always stunning MCY 70. 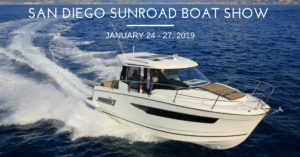 If you missed us at the show or weren’t able to make it, contact us to schedule a showing at our dock ( info@50northyachts.com ) or visit our office at 2353 Shelter Island Drive, San Diego, CA. Demo Day event coming soon! Details to follow. 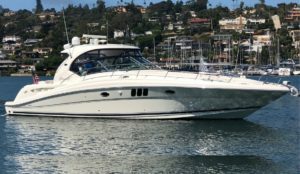 This Offshore Sedan designed by William Crealock is well known for its quality and ability to handle well in adverse sea conditions. 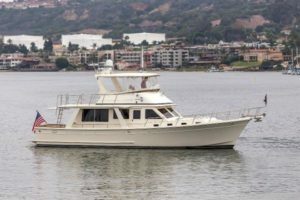 Complete with two staterooms, two full heads, lower helm station, with access to the flybridge through the main salon. 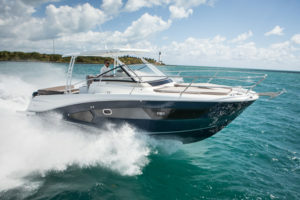 The boat gets on plane quickly (at about 12 knots) and knifes cleanly through waves and chop. 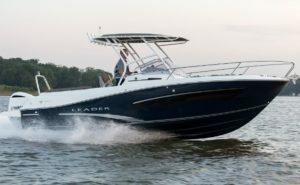 Thanks to the boat’s substantial displacement, long shallow keel, low profile and low center of gravity, the 48 offers a rock-solid ride and a high degree of directional stability. 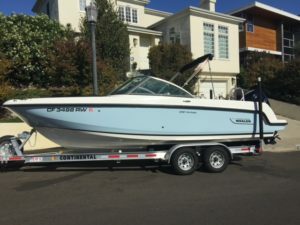 Handling is sure and responsive in a variety of sea conditions — this boat has earned a reputation as a good boat in all conditions. 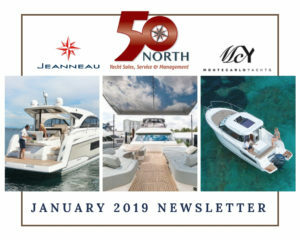 We have set the dates for our 2nd Annual Jeanneau Rendezvous! 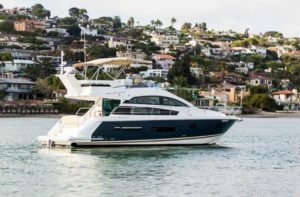 Mark your calendars for August 22 – 25 and join us in Two Harbor, Catalina for 4 days of fun, on and off the water, and lots of Jeanneau powerboats! 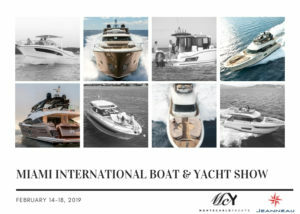 All Jeanneau owners, family, friends, and fans are invited! We are planning to make this year’s rendezvous bigger and even better! Stay tuned for more details. 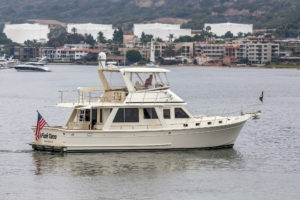 AVAILABLE NOW at our dock in San Diego! 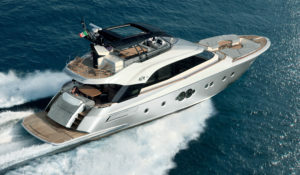 There is no yacht quite like the MCY 70, it is beautifully different from anything else found in the oceans of the world. 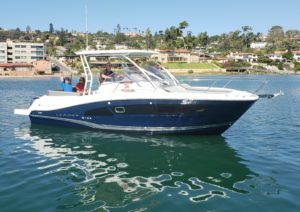 Perfect for family fun in the sun, weekending, cruising, or just hanging out. 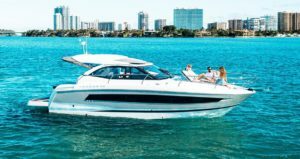 A sporty boat with plenty of room for friends and family. 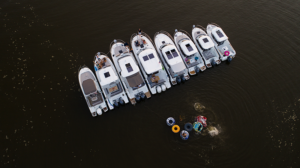 A spacious saloon and cabins provide for unforgettable evenings, while the fore and aft sundecks allow you to enjoy every moment of being on the water. Didn’t find what you were looking for or have questions about listings or upcoming events?